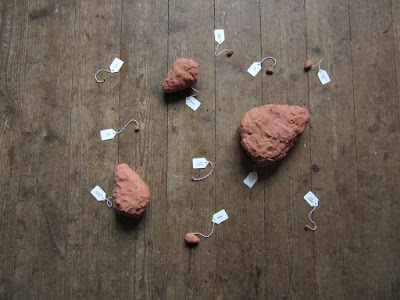 Image: A collection of plasticine sculptures that represent the scale of the hearts of common mammals from Glen Nevis and the surrounding areas. Photographs courtesy the artist. In my artistic practice, I attempt to create projects that place the human within a larger system, for example, that of the animal kingdom in my current and ongoing project, The Beginning of the Plasticine Archive of 5146 Mammal Hearts. Although endlessly romanticized, hearts, in their very essence, hold the inevitability of death. Throughout the mammal kingdom this shared pump of expiry differs little, and stays hidden in a multitude of chests as the essential life-giver. Thus, I have decided to build a sculptural archive of the hearts of all the existent mammal species, ranging from Bumblebee Bat (7mm) to Blue Whale (the size of a small car), along with the sound of their respective pulses beating. The beats will stretch from 10bpm to 1500bpm (so fast that it will be inaudible to most grown human ears) and will be heard (or unheard, in some cases) all at once in a soundscape that will be more akin to vibration than noise. 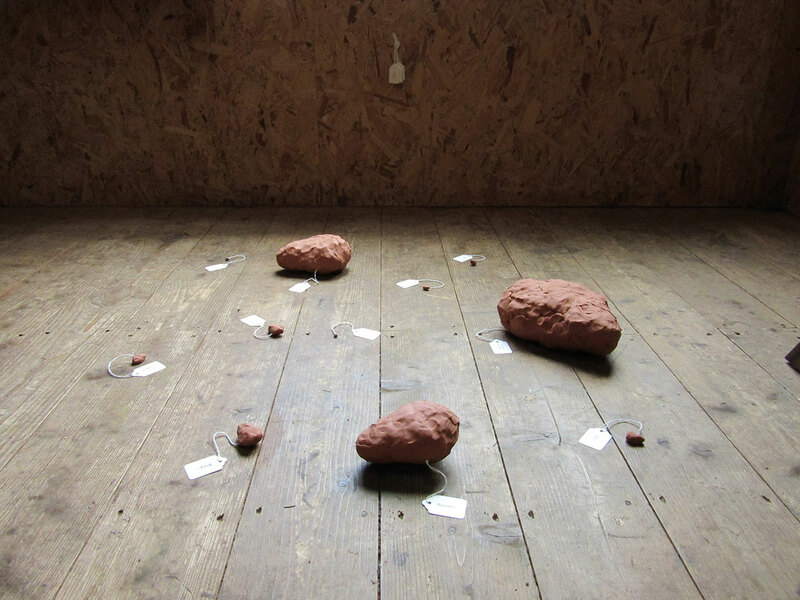 My aim is to create an immersive installation in which the human can place itself on a par with its mammal relatives, stripped of the intelligent body which consistently conceals its animal parallels. This project could be a lifelong endeavor, and has to be researched so carefully, often finding the data takes more time than creating my sculptural works. My time at Outlandia enabled me to concentrate on the artistic, rather than the information-driven, side to my practice. Overall, I think the thing I will remember the most about my time at the residency is the impact that the forest had on my work. I came to Lochaber with an expansive list of the mammals that live there, the trees that grow there, their dimensions and life expectancies. However, occupying a space which was at the heart of many a habitat for these lifeforms caused me to look at them as something other than data. Data and information are central to my work, and my practice often slips between different disciplines, calling upon doctors, scientists, and the like. 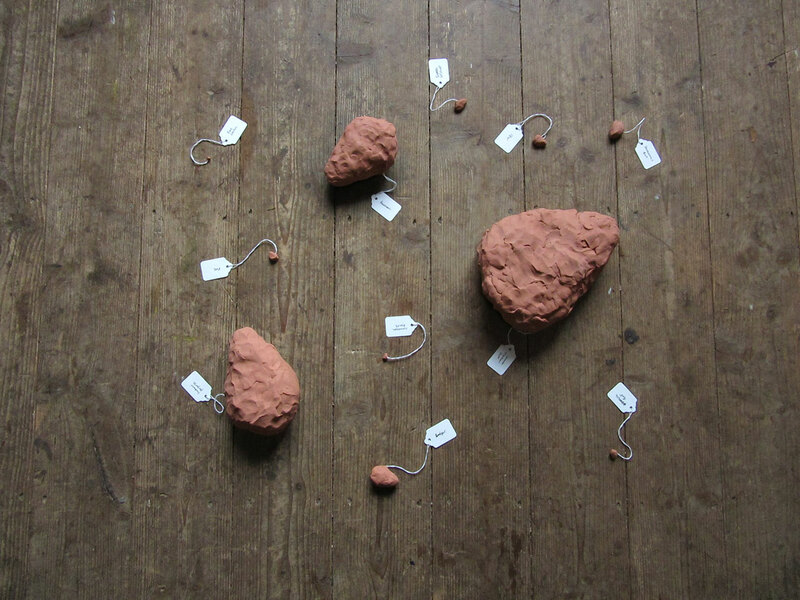 The proximity to nature made me question how best to represent these lifeforms in my sculptures, and caused a change in how I had been representing them up to now. I had graduated from Edinburgh College of Art in June, and was happy to have a residency lined up for soon after. The project is continuing, will be exhibited on a small scale after my next residency in NSW, Australia, and then will be exhibited in a larger space in Liverpool, UK, in November/December 2016. After that, it will grow and grow. And particularly after an exhilarating release of the trailer a few days back, fans have gone really crazy.